People with migraine disease face many challenges, and these challenges can be magnified when someone is part of an “underserved” population. We set out to examine various categories of “underserved” populations, consider the unique challenges faced by these groups, and discuss mechanisms to mitigate these challenges as much as possible. Very little research has been performed to specifically evaluate underserved populations related to people with migraine disease. 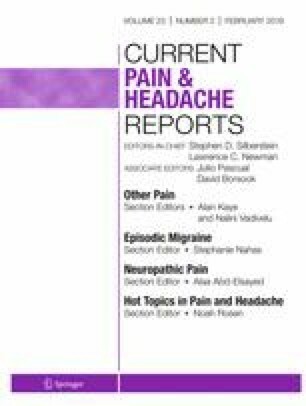 Recent research has shown the overall limitations of limited numbers of physicians with specialty training in headache disorders, and the socioeconomic implications of migraine disease have long been reported. Even the definition of “underserved” is not completely clear. We undertook to define this concept in the setting of migraine disease, breaking into different categories, including financial, geographic, and cultural/racial. Each underserved population has both shared and unique challenges, and in reality, given the paucity of medical expertise throughout the United States, one could make the argument that nearly all people with migraine disease are at risk for being underserved. In the future, epidemiologic as well as therapeutic research should incorporate analyses of these and any other underserved population to improve the application of study results across broad and varied populations whose commonality, in many cases, ends with sharing the same disease. Umer Najib, David Watson, and Melissa Moore declare that they have no conflict of interest. Headache disorders. http://www.who.int/news-room/fact-sheets/detail/headache-disorders. Accessed 20 June 2018. Medically Underserved Areas and Populations (MUA/Ps). https://bhw.hrsa.gov/shortage-designation/muap. Accessed 20 June 2018. UCNS Diplomates Certified in Headache Medicine. http://www.ucns.org/globals/axon/assets/12644.pdf. Accessed 20 June 2018. AAN Press release. The doctor won’t see you now? Study: US facing a neurologist shortage. https://www.aan.com/PressRoom/Home/PressRelease/1178. Accessed 20 June 2018.